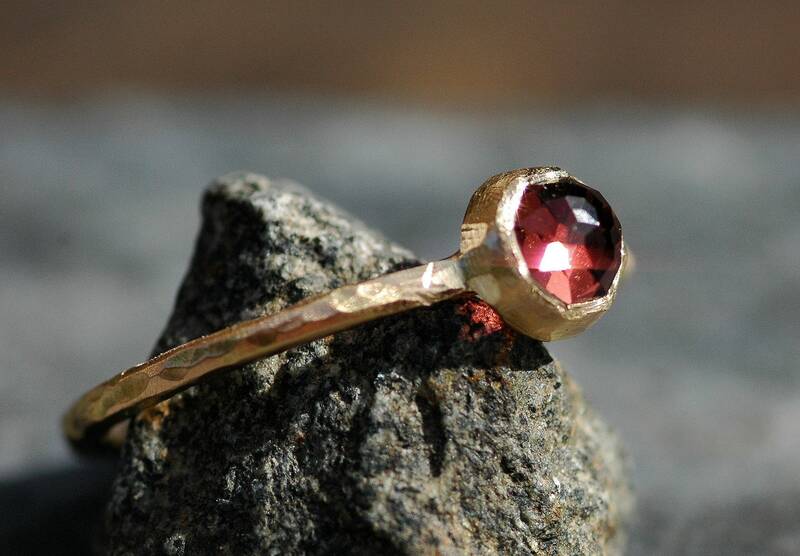 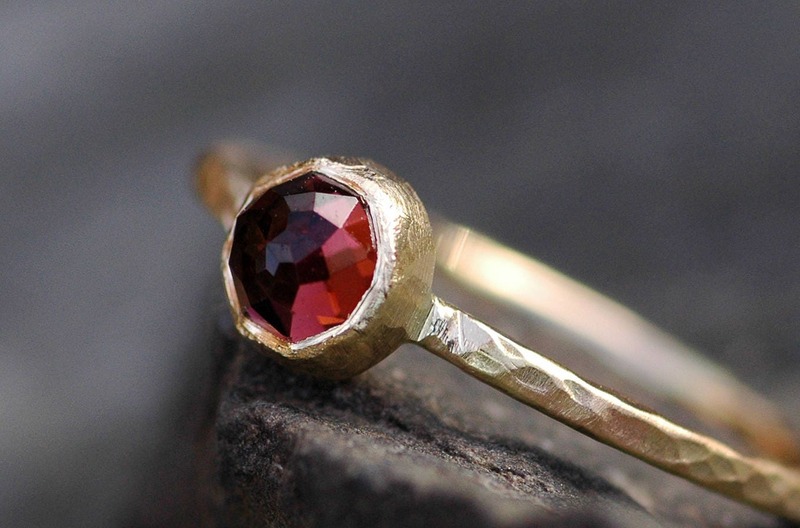 This raspberry pink tourmaline and yellow gold ring is ready to ship. 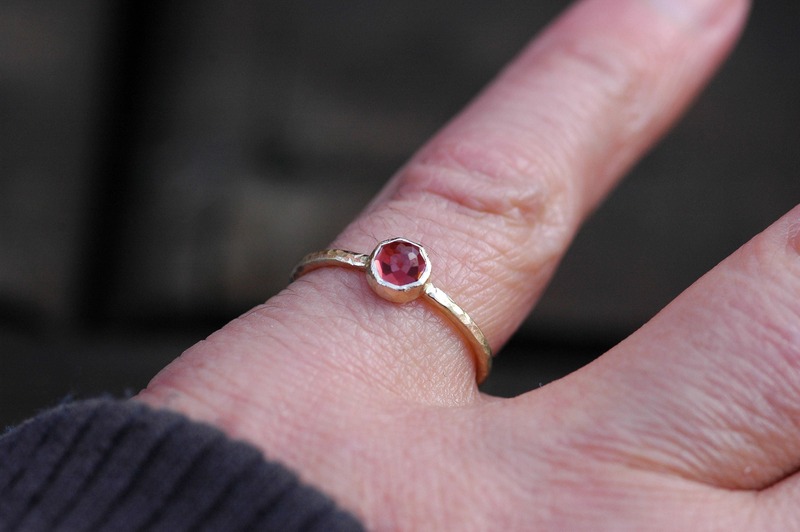 It is a size 7.5, but can be slightly enlarged to a size 8, at no additional charge. 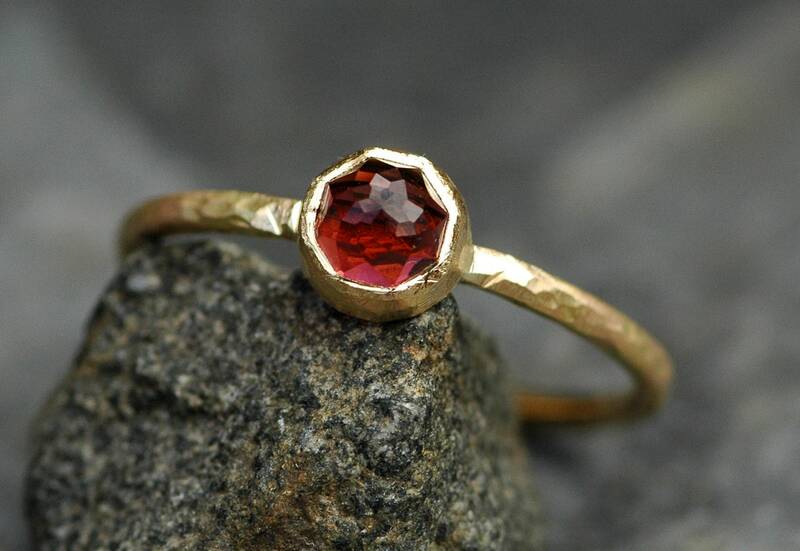 Please contact me prior to purchase if you would like the ring sized down, as this may be possible. 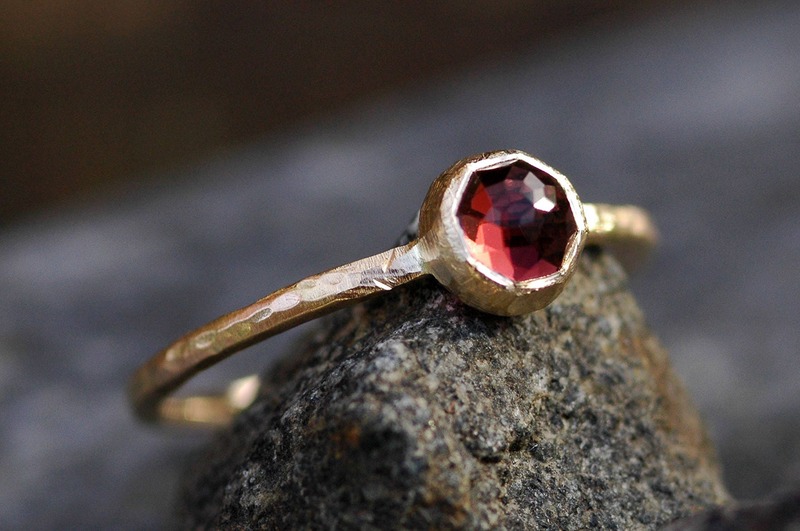 I built this ring around a lovely, shimmery, faceted rose cut pink tourmaline. 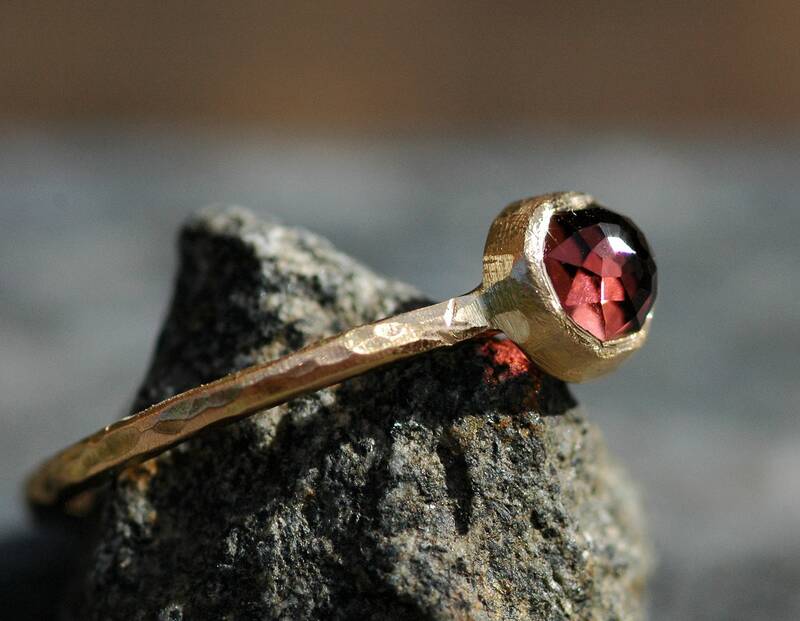 The tourmaline is bi-colour, with the main colour being a rich, deep raspberry pink. 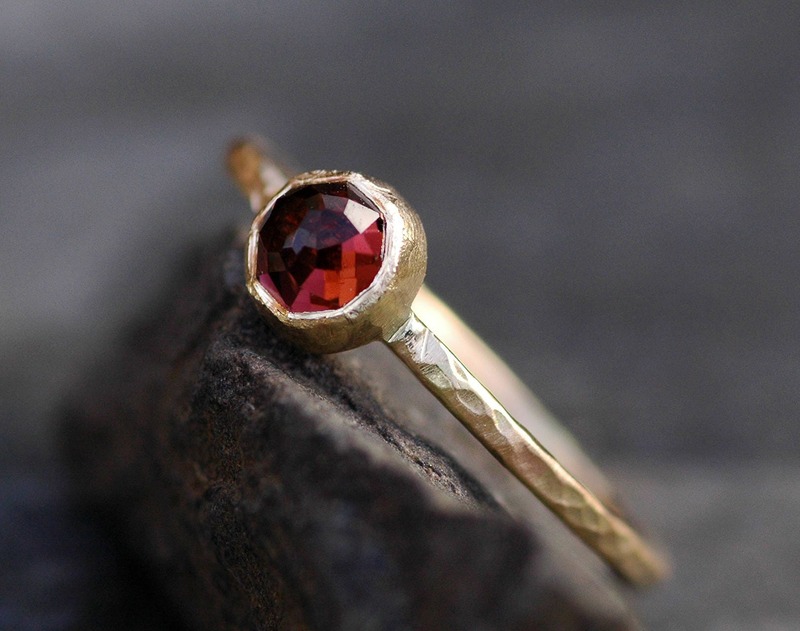 The secondary colour is a warm orangey-pink, which is very subtle in appearance, and is seen along one edge of the stone. 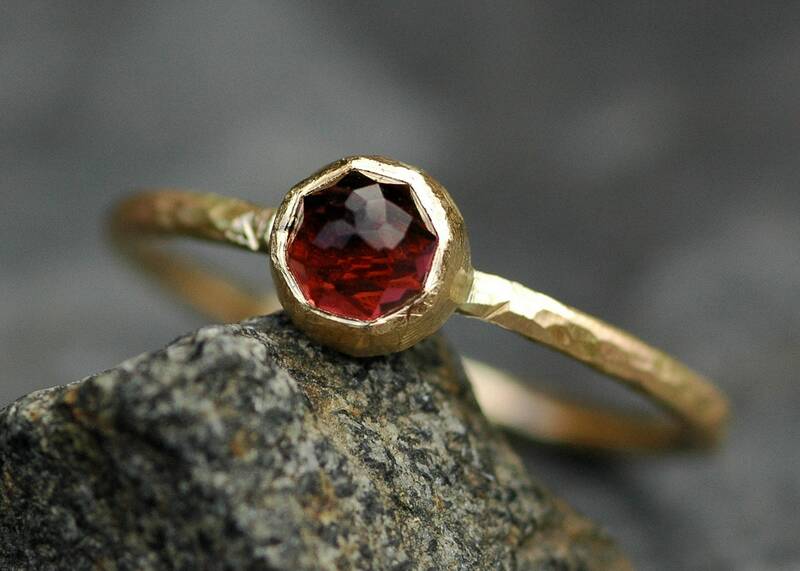 This stone is 5mm across, has a high dome, and is just over a half-carat in weight. 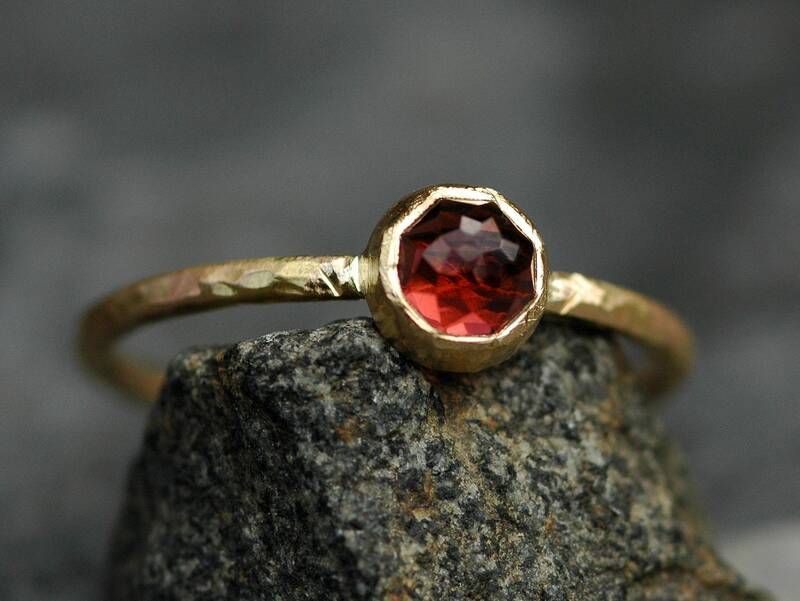 The setting for the tourmaline is a faceted, open-bottom bezel, which allows the light to flow through the stone. 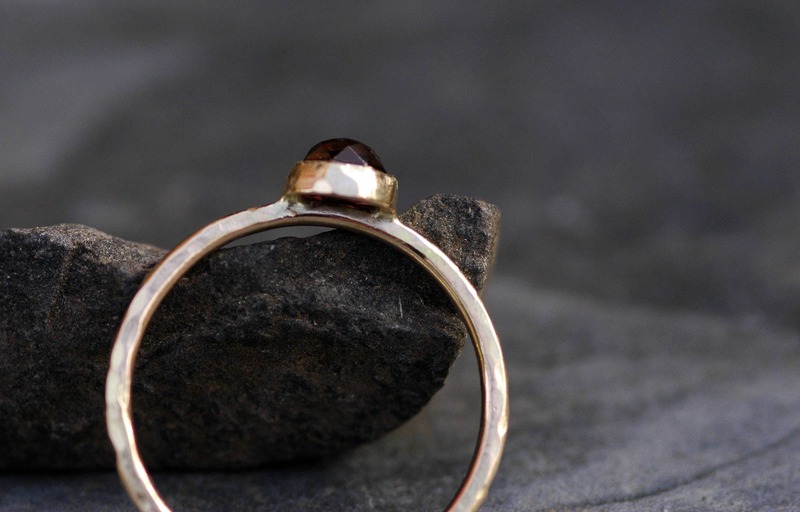 The svelte band is around 1.5mm thick, and has been give a hammered/brushed finish.